BERLIN --- Dassault Aviation and Airbus have decided to join forces for the development and production of Europe’s Future Combat Air System (FCAS), which is slated to complement and eventually replace current generation of Eurofighter and Rafale fighter aircraft between 2035 and 2040. The partnership, sealed in Berlin by Eric Trappier, Chairman and CEO of Dassault Aviation and Dirk Hoke, Airbus Defence and Space Chief Executive Officer (CEO), represents a landmark industrial agreement to secure European sovereignty and technological leadership in the military aviation sector for the coming decades. 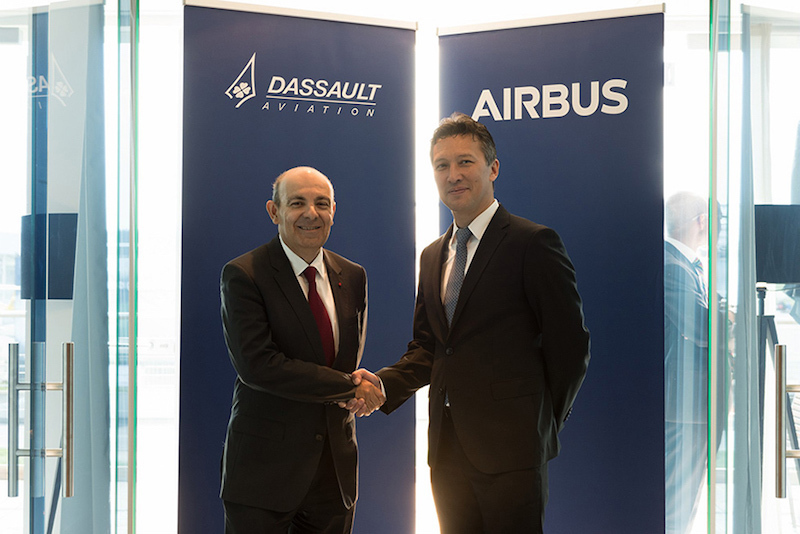 Eric Trappier, Chairman and CEO of Dassault Aviation, said: “We are convinced that by deploying our joint expertise, Dassault Aviation and Airbus can best meet the operational requirements of the Forces in the development of this critically important European programme. Both companies fully intend to work together in the most pragmatic and efficient manner. Our joint roadmap will include proposals to develop demonstrators for the FCAS programme as of 2025. “Never before has Europe been more determined to safeguard and foster its political and industrial autonomy and sovereignty in the defence sector. Airbus and Dassault Aviation have absolutely the right expertise to lead the FCAS project. Both companies are already cooperating successfully on Europe’s medium altitude long endurance new generation drone programme,” said Dirk Hoke, CEO of Airbus Defence and Space. Dassault Aviation and Airbus Defence and Space agree on the importance of efficient industrial governance in military programmes. This also includes the involvement of other key European defence industrial players and nations based on government funding and on the principle of best contribution.